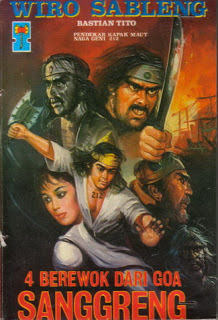 Wiro Sableng or Pendekar 212 is a novel series written by Bastian Tito. Wiro is born with the name Wira Saksana whom since he was a baby, is brought up by his teacher who is famous in the world of martial arts as Sinto Gendeng. Wiro is a martial artist with his weapon Deadly Fire Dragon Axe 212 and has a tattoo “212” on his chest. Wiro has a lot of supernatural powers that he obtains from his adventure in the world of martial arts, and also from various teachers.